The Red Stag casino may have only been around for a couple of years or so, but the team behind its day to day running holds much acclaim. It’s a part of the Deckmedia N.V. group and it incorporates software from a single developer. Furthermore, you’ll be able to play in a safe and fair environment there because it holds a gambling licence from the jurisdiction of Curaçao. In addition to this, the casino website has a very appealing design to it, ensuring that you have the ability to navigate your way through it easily. Plus, the game lobby is laid out in a very accessible way, providing access for instant play, download and mobile gamers. It’s the software developer known as WGS Technology that provides Red Stag casino with its selection of titles. This is by no means a bad thing either, because there are several different categories for you to browse through. This includes slots, table games, video poker and specialty games. If you do get the chance to access the games from WGS Technology, then you’ll find that they provide you with intriguing graphics and themes throughout. 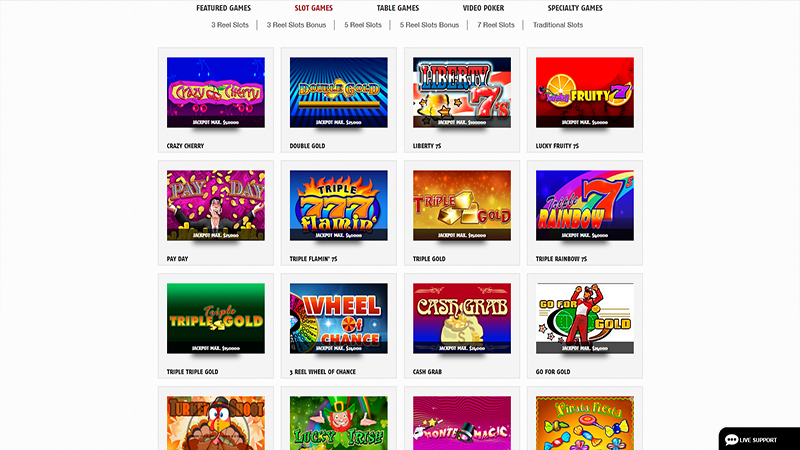 The selection of slot games is what comes first, with intriguing titles being on offer within. These include offerings like Crazy Cherry, Arctic Queen, Butterflies, Amanda Panda and Kanga Cash. Further to these standard video and classic slots, there are a few progressive jackpot games on hand too. With those, you can try to win huge amounts as you spin the reels. Following on from the slots section, you will find that Red Stag also provides a nice range of table games. These games are all present in the form of either blackjack or roulette. However, there’s a separate section for video poker offerings, including titles like Aces and Faces, All American and Bonus Poker. Keno and bingo are also available at the casino, which are located within the ‘Speciality Games’ section. While playing a good selection of games at an online casino is one thing, it’s quite another to be able to access some intriguing special offers too. Fortunately, Red Stag casino doesn’t let players down in this area. Newcomers to the site have the chance to claim the welcome bonus after completing their sign up and first deposit. In fact, there are rewards available across your first seven deposits, with percentages of bonus funds spanning between 100% to 275%. Alongside these bonus funds, you’ll be given some freespins too, with amounts between 25 and 150 available across various games. Following on from the welcome offer, there are various offers for regular players to claim too. As an alternative to the welcome bonus though, you can receive a 25% cashback reward on your first seven deposits. However, the Red Stag casino also has mobile-specific promotions to enjoy and rewards for Bitcoin depositors to receive. A VIP Club and Comp Points are also available at the site, with points being given every time you make a wager on your favourite games. Making deposits and withdrawals is something that is common with online casinos. Red Stag casino is able to provide you with the opportunity to complete these processes in a few different ways. As far as depositing goes, there’s the chance to use Visa or MasterCard credit or debit cards, as well as American Express. Skrill and Neteller eWallets are also available to use, as is the option of PaySafeCards. You’re also able to access a few country-specific options, such as Sofort. Finally, the Bitcoin cryptocurrency is also available to utilise for both depositing and withdrawing. 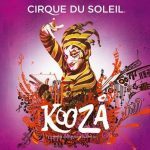 In addition to using Bitcoin to withdraw, players can utilise the two mentioned eWallets. Furthermore, there’s the option of withdrawing via Bank Wire Transfer or Check. Whenever you’re at the Red Stag casino site, you’ll see the option for Live Support on hand in the bottom right hand corner. However, there are other possibilities open for you to find help as well. The support team are available to reach on a 24/7 basis, while a FAQ section is also readable. 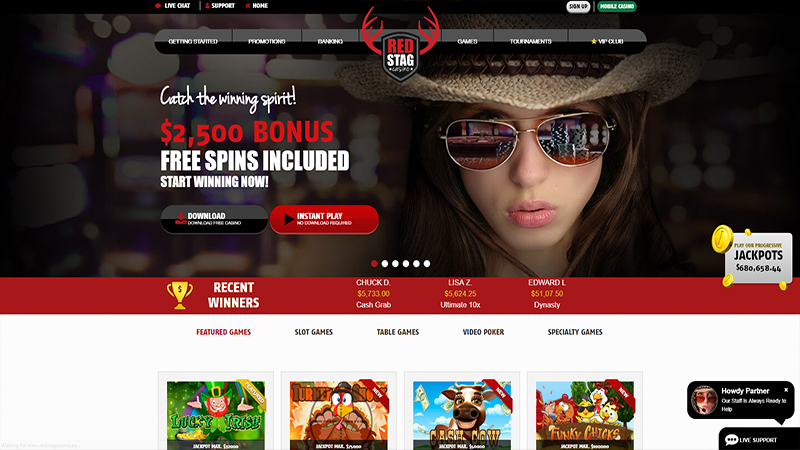 There’s the potential to use one of the telephone numbers that the site displays, or you can send an email along to the team on support@redstagcasino.eu. Red Stag certainly benefits from having a strong group behind its daily activities. Additionally, the round-the-clock support is always something that we appreciate. Not only that, but WGS Technology provides the casino with enough games to entertain players, while the range of special offers on hand make for an added experience. Play at Red Stag Casino. USA Players Welcome!